Gujarat High Court Recruitment 2018 Job alert both Fresher and Experienced can get Gujarat High Court recruitment 2018 updated on January 31, 2018, notification on recent Gujarat High Court recruitment 2018 openings across India. 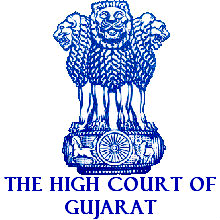 This is an exclusive page updated on 31.01.2018 for the latest recruitment notification from Gujarat High Court 2018 it contains both active and recently expired Job openings and recruitment notification from Gujarat High Court 2018. 60% Marks. OR MCA with 60% Marks. Experience Required: Minimum 1 Year experience in the Central Government or State Government or Government Organization or Public Sector Undertaking or Reputed Organization / Company. Age Limit: A Candidate applying to the said post, shall not be less than 18 years and not more than 35 years of age, as on the last date of submitting Online Application i.e. on 15/02/2018. Candidates belonging to Scheduled Castes, Scheduled Tribes, Socially & Educationally Backward Classes, Differently Abled Persons (PH) and Ex-Servicemen shall be required to pay Fees of Rs.250/- plus the usual Bank Charges and all other candidates shall be required to pay Fees of Rs.500/- plus the usual Bank Charges via “Print Application / Pay Fee” Button through SBI e-Pay, provided on the webpage of HC-OJAS Portal- http://hc-ojas.guj.nic.in. Carefully Read and Follow the Instructions/Help given threat. Select the Mode of Payment i.e. Online Payment or Cash-Challan (Offline) (Challan will be generated Online at SBI e-Pay Website). If Cash-Challan (Offline) Option is selected, Candidate is required to take a printout of 'Challan' in TWO Copies and pay the requisite Fees before the Challan Expiry Date, at any of the SBI Branch, by submitting the said Challan to the Bank. The Concerned Bank Branch will retain one Copy of the 'Challan' and return the other Copy to the Candidate.